Meta are the world leader of vehicle security securing more OE approvals than any other car alarm brand in the world you can rest assured of excellent quality which will last for many years. The Meta Systems alarms have a range of entry level to fully Thatcham approved cat 1 alarm systems. Meta have a vast amount of add on's such as additional telematic modules for there alarm systems meaning you can get full GPS tracking and push alerts to your smartphone if your alarm is triggered. The most common Meta alarm system we install is the Thatcham approved Can-Bus alarm. 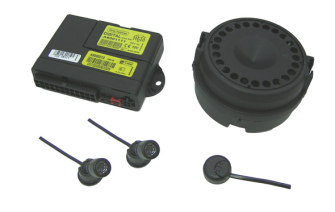 This system works alongside the original vehicle remote control, meaning no extra alarm fobs are required. The Meta alarm also offers a bright LED which sits up high in the window screen meaning thieves know straight away your vehicle is protected by a market leader in vehicle security. A nice feature with Meta systems is the ability to install the system without causing damage to the vehicles interior. This is ideal for example if your car or van is a lease vehicle. The Meta systems protect all major entry points of your vehicle for example the doors front & rear, boot and the vehicles interior. The siren is a full battery back up 118db siren which will keep sounding even if the wiring is cut. If you would like a Meta car alarm installed why not give us a call on 07525 068291.